Sometimes it can be so hard to find gifts for people which is why I like gift guides. They make gift shopping so much easier. You can just go through the list, click the links, add products to your cart, and checkout. 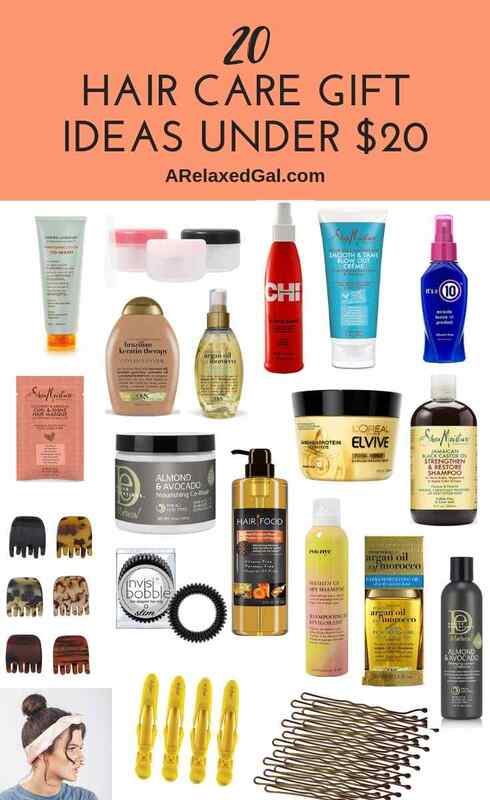 Good news for you, I’ve got this nifty gift guide list of hair care items. So if you know anyone who’s into hair care (or should be into hair care) this is for you. All of these hair care items are under $20 and several of them are under $10. So there are options for all budgets. Plus, you can find all of these items at Ulta. 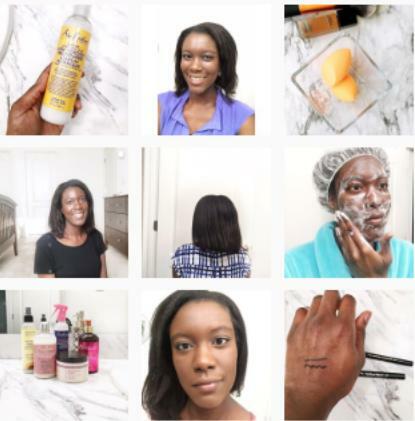 So to make it easy for you I included links to all of the products on ulta.com. All of these links are affiliate links. So if you click them and make a purchase I’ll make a small commission but it won’t cost you anything extra. And if you’re doing your shopping online don’t forget to use Ebates. If you use Ebates when shopping you can get cash back on your purchase for some extra savings. 1. L’Oreal Elvive Total Repair 5 Damage-Erasing Balm - This can help counteract a lot of the summer damage to your hair. 2. It’s A 10 Miracle Leave-in Product - I’ve seen this product on many a top 10 list from relaxed hair vloggers and bloggers. 3. Design Essentials Natural Almond and Avocado Detangling Leave-In Conditioner - This is a leave-in conditioner I’ve been wanting to try for a while but the store I went to was always out. The almond, avocado and Vitamin E it contains intrigued me. 4. SheaMoisture Coconut & Hibiscus Curl & Shine Masque Packette - You can't go wrong with a good hair masque. 5. OGX Ever Straight - Brazilian Keratin Therapy Conditioner - A good budget-friendly protein conditioner. 6. Hair Food Hair Food Moisture Shampoo Infused With Honey Apricot Fragrance - Perfect for those who are particular about the ingredients in their hair products and like sweet smelling shampoos. 7. SheaMoisture Jamaican Black Castor Oil Strengthen & Restore Shampoo - This is one of my favorite shampoos to use on my relaxed hair. It’s a great sulfate-free way to remove some product build-up. 8. Design Essentials Natural Almond & Avocado Nourishing Co-Wash - For the times when a shampoo isn’t needed but you still need to wash your hair. 9. Mixed Chicks Conditioning Wash - Another good co-washing option. 10. Eva NYC Freshen Up Dry Shampoo - I don’t use dry shampoos often, but this one is very light, didn’t irritate my scalp, or leave any residue in my dark hair. 11. Chi 44 Iron Guard Thermal Protection Spray - This is one of the top heat protectants out there and consistently has good reviews. 12. SheaMoisture Argan Oil Argan Oil & Almond Milk Smooth & Tame Blow-Out Crème - Those who do blowouts on the regular. 13. Renewing Argan Oil Of Morocco Weightless Healing Dry Oil - It’s been a while since I’ve used this brand but I remember liking how this dry oil made my hair feel. 14. OGX Renewing Argan Oil Of Morocco Extra Strength Penetrating Oil Dry, Coarse Hair - Since I liked the sister of this product as noted above, I can only imagine what my hair would feel like after using the Extra Strength version. 15. Drybar Hold Me Hair Clips - these are perfect if you blow dry your hair or ever work on your hair in sections. 16. Invisibobble SLIM The Elegant Hair Ring - I’ve heard with these hair rings you can wear a ponytail and not end up with that odd crease regular hair ties and scrunchies cause. 17. 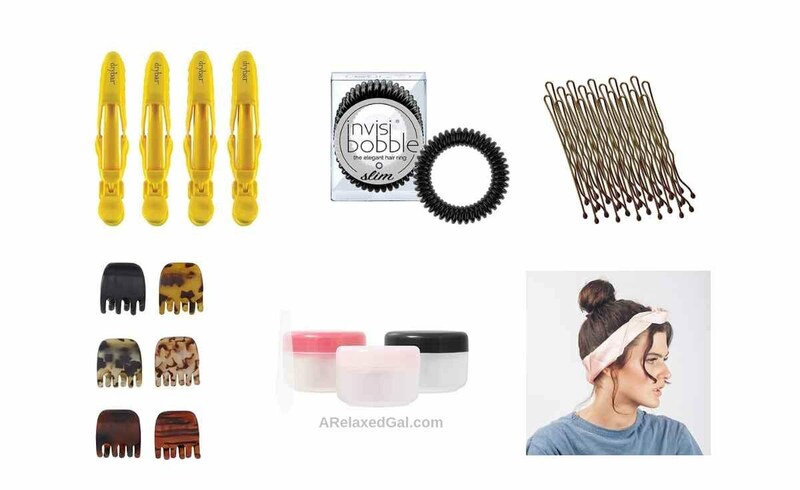 Kitsch Brown Bobby Pin Set 45 Count - Cause who doesn’t need bobby pins? 18. Rivera Matte Tortoise Claw Clips - I love claw clips because they allow me to do a quick updo with little effort but looks like it was more effort than a regular ponytail. 19. Ulta Beauty Smarts Travel Jars - While these aren’t the jars I use for travel I can say that these are imperative if you’re planning to carry-on and want to take your hair products with you. 20. Kitsch Blush Square Satin Scarf - To help keep those pretty and well cared for tresses protected at night. Awesome! Good luck with your shopping. That's great. I haven't tried the Invisibobble or a similar hair tie but I've heard good first hand reviews from people who have. So it's on my list of products to try. Yesss, I can never have enough bobby pins cause they always magically disappear somehow! This is a great post! Right?! It's amazing how quickly a pack of 100 bobby pins disappears.